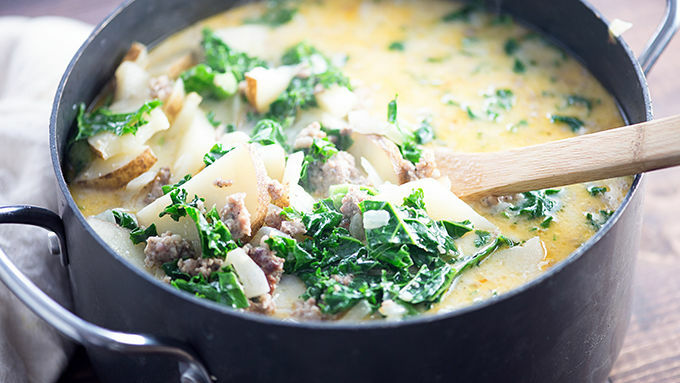 Add sausage to a large soup pot and crumble as it cooks over medium heat. 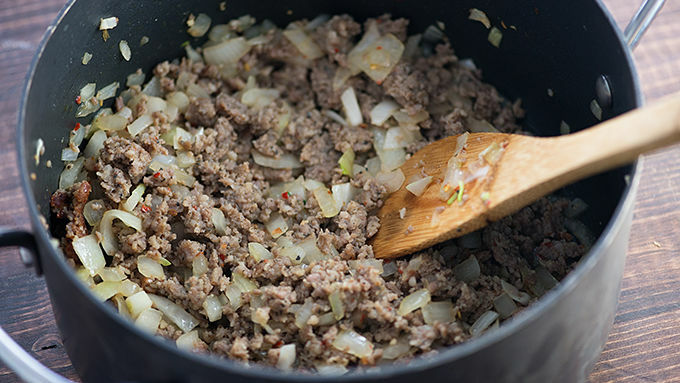 When sausage is broken up and beginning to brown, add onion and garlic to pan and continue cooking until sausage is cooked through and onions are translucent. Sprinkle flour over mixture and stir to combine. Pour in the chicken broth and bring to a boil. Meanwhile, wash potatoes and cut each in half lengthwise. Slice into 1/4-inch slices. Once soup is boiling, add potatoes to pot. 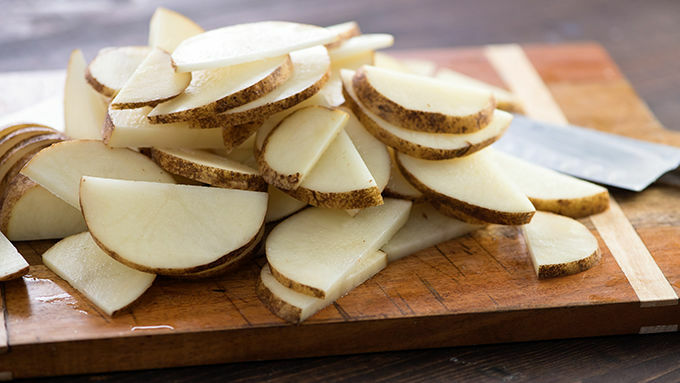 Cook for 20 minutes or until potatoes are fork tender. 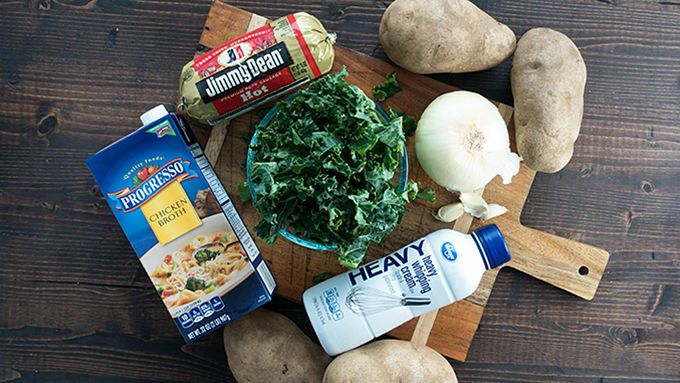 Reduce heat to low and stir in the heavy cream and kale. Cook for 5 minutes, stirring occasionally. Serve alongside a big garden salad and fresh breadsticks for an authentic restaurant experience! 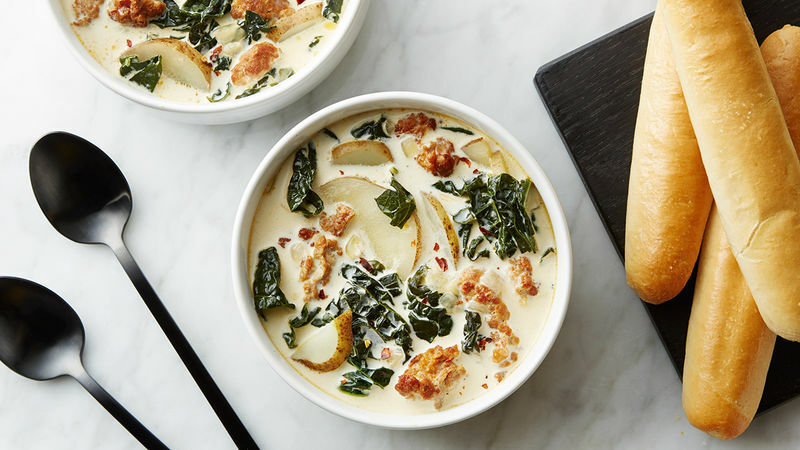 Let’s talk about soup, baby. Let’s talk about you and me. Let’s talk about all the good things and the bad things that may be. Let’s talk abooooooout soup! …And that’s all the singing you’ll get from me today. Promise. So, I have this little love affair going on with Olive Garden™. Between the always fresh and crunchy salad and the soft and steamy endless breadsticks, I cannot even deal. Then you throw in a big bowl of soup studded with sausage and potatoes and green things that make me feel good about myself and my healthful eating habits? I just can’t. So, I figured it was high time we had access to the OG at home. Am I right? Let’s make soup, y’all!